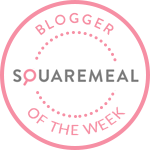 Emily's Recipes and Reviews | UK Food Blog | Leicestershire : big hero 6 bento boxes for sushi loving kids. 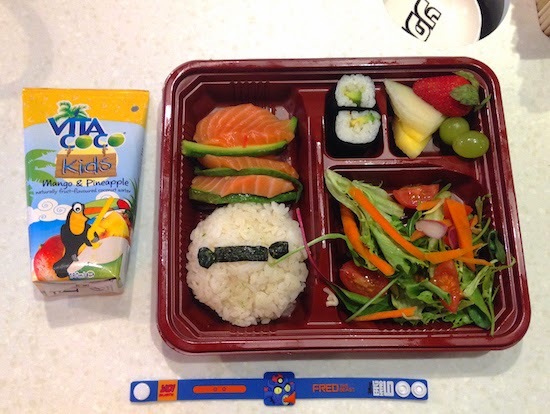 this week i summoned up my inner child to sample the sushi delights of the big bento 6 box. with six heroic flavours to chose from, these disney inspired bento boxes are sushi ensembles especially for small people. the artistic offerings coincide with the launch of disney's big hero six, tipped to be the next frozen, which comes out in cinemas today (january 30th). as you can see i opted for the salmon and avocado box, since it's one of my favourite combinations. the salmon was beautifully melt-in-the-mouth as always, the rice well seasoned and the avocado maki a lovely addition. it pleased me to see lots of salad too, although i think that it could have been a more japanese inspired mix with edamame beans, carrot, ginger and sesame. i don't think this would have been too "out there" as the kid would already be in a sushi restaurant afterall. the £7 bento box filled me up without feeling stuffy and unhealthy on my leicester shopping trip. lots of fresh flavours, just enough carbs (cute carbs at that) and delightful seafood. this is a great way to introduce kids to sushi and i'd love to see more bento boxes from them in the future. do you know a littl'un who is crazy about sushi? have you tried out bento boxes before? note: my bento box was complimentary for purposes of review. all opinions are honest and my own.